Manufactured by J&M Furniture Turin bedroom set provides unique modern style. Light Grey and Black lacquer finish case goods with soft closing drawers. 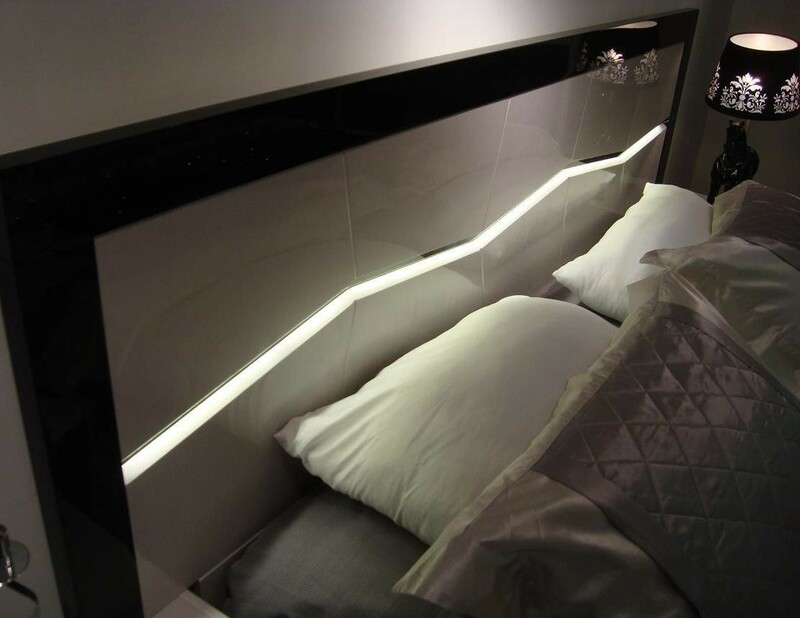 Platform bed has LED lights in the headboard and does not require box spring.